Ordered three year Merlot grape plants. Two were dead on arrival, no good roots, two were mostly dead rerouting hopefully. Refused to refund. Very bad warranty policy. Will not refund cost of plants and shipping. Wanted the dead plants shipped back at customer costs. Do not buy from this company. Zero customer support. Willis Orchard Company - Will our 6-7 foot flowering almond trees get leaves and flowers this year? 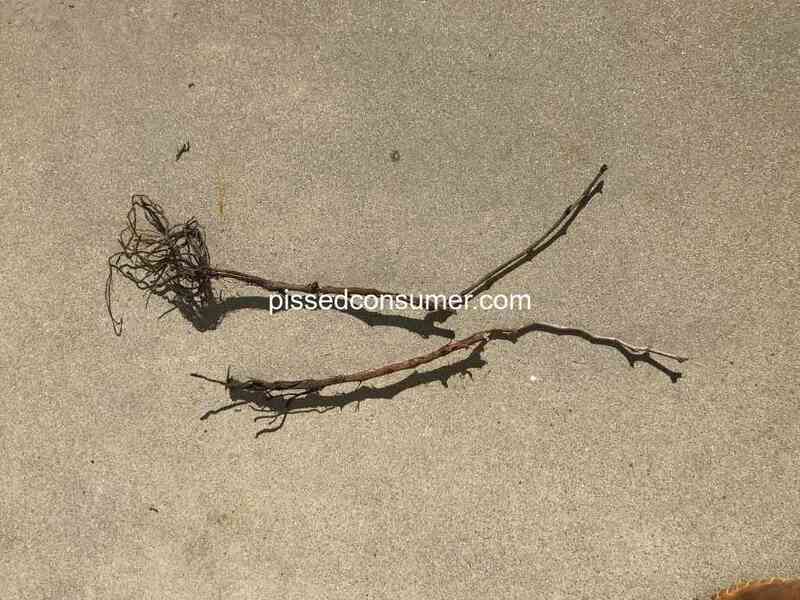 On March 21 2019 we purchased on line 6-7 foot flowering almond trees and they were received on April 10 2019. Order number was 100654607222. I am the President of The Garden Club and the chairperson of the civic group Beverly Leake placed the order. We thought we would be receiving trees with leaves but what we received were sticks with one or two small leaves on one tree and the tops cut off. We are a small garden club with plans on placing these in planters in our downtown area and we will look like fools to put sticks in that will neither flower or bear leaves. Plus we have limited funds to buy trees to begin with. Any assistance you can give us as to make our project work would be appreciated. We were very disappointed to open the box (tiny for four trees) and no leaves but sticks. Waiting to hear from you. Willis Orchard Company - Very dissapointing quality of two blueberry bushes I purchased fro Willis. Willis Orchard Company - CATASTROPHIC EXPERIENCE FOR THE SECOND CONSECUTIVE YEAR! Willis Orchard Company in Cartersville, Georgia - We ordered 3 trees and 11 grapevines. One tree and 3 vines did not live. My experience in talking with Willis Orchard was good. If you h ave complaints filed with the attorney general, consumer fraud in their state, and in your state. Contact the media. Poor in ever area of business! Received my order. Leaves were very wilted. Healed in to organic soil, but all are dead. Not a happy camper. Do you have something to say about Willis Orchard Company? What happened? What can we help you with?